Lung Cancer Alliance and the Bonnie J Addario Lung Cancer Foundation have merged to become the GO2 Foundation for Lung Cancer. Debates arise frequently in the lung cancer community about reducing sugar intake to prevent and/or treat cancer. Some people claim a ketogenic diet is an effective cancer treatment, but rarely provide objective, scientific evidence to support this claim. Finally! A article in a respected oncology journal suggests it’s time to consider lung cancer screening in never smokers. Median survival for metastatic ALK+ lung cancer can be more than SIX YEARS! Finally! A published study offers proof that metastatic ALK+ lung cancer patients can live for YEARS thanks to targeted therapies. This is phenomenal, considering that in 2011 (the year crizotinib was approved in the US for ALK+ non-small cell lung cancer, or ALK+ NSCLC) , the US SEER database listed average survival for metastatic non-small cell lung cancer at less than one year. 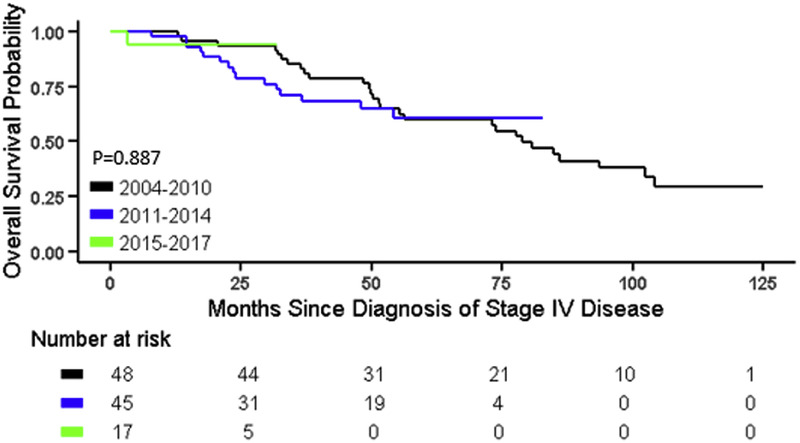 In this study of 110 patients at University of Colorado (one of the sites in the original clinical trial of crizotinib for ALK+ NSCLC), the median overall survival time from diagnosis of stage IV disease was 81 months. That’s 6.8 years. Over six YEARS of survival. Woohoo! Note that this median survival (when 50% of the group remains alive) will be even longer for patients diagnosed after 2011, when crizotinib was approved. Prolonged benefit from pemetrexed chemo is associated with better outcomes (some patients in the study had chemo before or after a targeted therapy). Yay for cancer research that is helping more lung cancer patients live longer! You can read the complete article here.